As we navigate through this loving, and transformational, month, we will feel the urge of transcending old patterns within and in our relationships that are still active within ourselves and that we may not even be conscious. To help us dissolve all these toxic patterns toward the self and in our relationships, we welcome a loving and healing New Moon at 15 degrees Libra on October 8th/9th. This is a very similar Moon to the Lunar Eclipse we had on January, for the alignments occurring during this Moon are very similar. This Moon involves a radical transformation whether we are ready or not, for sometimes what we believe to be negative or chaotic is simply our soul sending us a blessing – in form of challenge – for us to clearly see something that keeps us enslaved and that impedes us to continue our grow and mission. This is what this Moon’s essence brings – a profound renewal involving the conscious shift of the self and our relationships. Every time we are in pain or simply realize that we keep repeating old patterns/habits and/or behaviors in our relationships that we no longer resonate with, it is time for us to become the neutral observes, leaving all judgments aside, and begin to search, within, why it is that we continue fomenting toxic behaviors. In the moment we find ourselves immersed within these toxic patterns, it does not mean we are not evolving, on the contrary, it is by confronting fears and dissolving old them that we do so. 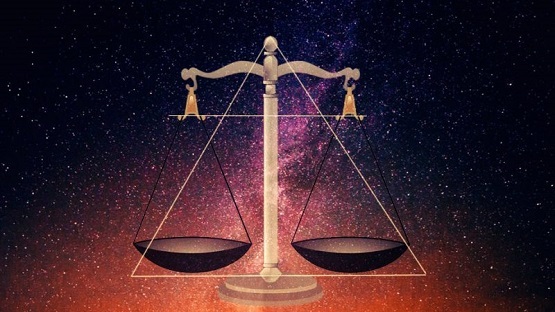 As you know Libra is all about relationships and balance, exactly where we are now, bringing unification to all the aspects/polarities within us that are still living in separation by our 3D egoic self. At a cosmic level, the Libra New Moon conjunct Ceres, quincunx Neptune and square Pluto. As you can feel, this Moon’s, as well as month, essence, is a confirmation about the proper change we should bring within and into our reunions, if they are still attached to an old energy that is only draining ourselves and impeding us to embrace new soul reunions as well as situations that will enrich our human experience. Neptune’s influence makes everything deeper, as well as Pluto, which highlights egoic patterns, imbalances and everything that is still hidden. Ceres which deals with feminine, motherly issues, family, relationships, and our relationship with food etc. will help us focus on our bodies, which is another important thing to do during this month, bringing deep purification where we still hold stagnant/old energy/wounds. As we also have Venus “retrograde” in Scorpio, which together with Neptune, will help us to look deeper into our wounds, to me, this is a unique opportunity to embrace our shadows, bringing into the surface our feminine imbalances. The majority of our main issues come from lack of self-love as well as traumatic experiences related to sexual abuses, and/or family ones. These experiences, later on during our adult life, can be forgotten by our human mind, for it is a form of protection, but in the end are the main causes for us to feel disempowered, afraid and unable to maintain balanced relationships, for when the main trauma/s occurred we created the belief that we were not good enough, justifying being attacked and/or sexually assaulted, between many other abuses, and hence, making real the false belief that it was our fault, blaming ourselves, which is one of the main causes of why we attract a toxic relationship. As the New Moon in Libra conjunct with Ceres, we have a wonderful opportunity, in a month where our bodies are experiencing a profound shift, to detox our body of old energy. By taking care of our body, I do not just refer to our physical ones but to our mental and emotional ones as well, for even though they are not physical the physical pains, diseases etc. come first from these non-physical planes. Nurturing ourselves begins by healing the original cause of pain, which is always one of separation with Source. When we incarnate as humans, as we do not fully remember, we tend to cover our original pain with human distractions. We begin to create the belief that we feel pain because we lost a relationship or because we are not worth it etc. however, the truth is that deep within ourselves we miss our connection with Source and we feel as though something is missed. However, this is why we came here, to remember that we are already One with Source and that it lies within. The importance of regenerating our bodies goes beyond focusing on our physical bodies, for it begins by clearing our mental plane of confusion, negative thoughts, which cannot be dissolved if we continue feeding negative self-talk, and by erasing all past memories that are still active within our mental body. Regarding our emotional plane, one of the main things to work with is to clear it from debris, emotional trauma, old/present wounds, although all wounds that are still felt are present. Working with our ego at the same time is pivotal for us to clear implanted or self-taught/programmed feelings such as: guilt, unworthiness, lack of self-love/respect/trust, anger, abandonment, victimhood and many others that have been imposed on us through alien manipulation, mind control etc. The importance of working with soul fragmentation (soul retrieval) is also vital for us to retrieve not just the lost fragments of our soul that are still in separation, and hence, in pain, but to become whole/healed, again – beginning to operate from an unified space. This tool is one of the most important ones in our evolutionary journey and one of its many gifts, when done properly, is to liberate ourselves from anger and blame, for it allows us to forgive the self and others, remembering that it is precisely those we call “negative” who came to give us the most precious lessons, and help us become stronger and empowered beings. Avoid addictions – by addiction I am referring to everything, and everyone, who we are attached to. Liquid diet, if you need to release physically. I only do this, when I need it, for two days, for I do not put my body in danger. Sound therapy – it helps the cells to retrieve its purity and help them heal themselves through the vibration of sound. Supplements: sillica/oxygen… and many others you feel guided to use, as this is very personal and I can only share an example of what I do, for my unique experience. There are specific parts of your body that are deeply connected to your mental and emotional planes. While some will not feel anything in these areas, others will experience deep pain, as it has been recently my own experience. As we are beginning to work with our bodies in an accelerated and new way, for the more it keeps shifting the more we need, it is vital to be open to learn new ways of healing. Therefore, witnessing your own healing process when you are healing emotional and mental wounds or any other imbalance, is essential, for there will be certain organs who will react to this healing process more than others and it is your task, as your own caretaker, to observe and understand what your body needs, to recover. During this period, especially with Venus in Scorpio, we all have the cosmic gift to transcend and heal past wounds from our relationships. There are times when we believe we have dissolved old traumas when in truth what our human self has done is just silence the pain and cover it with material things or other amusements, even other people, not to feel what is not easy to recognize and deal with. When we are under a healing influx, as we are now, it is our duty – as beings who have chosen to consciously evolved – to begin exposing the ego tactics to mask our pain and begin opening our heart, even though it means we will suffer, for this same grief is what will help us heal and live with an open heart. When old patterns in our new relationships arrive, when we cannot cease dating different people with the same behaviors, it means we have to stop for a while and listen, not to our minds but to our soul. All toxic relationships, whether with ourselves or other people, come when we do not love and respect ourselves, for we have acquired the belief via past situations or self-created beliefs that we are not enough and hence worth it of being love and appreciated. This does not mean at all it is our fault, by sharing this, I am not by any means referring to blame, for this is one of the first feelings we should have never had/learnt, to begin with. Every time we are in a relationship and we feel less than good, with ourselves or when we are with our partner, it is telling you that there is something you need to learn/release. There are times when people are maintaining toxic relationships and they have convinced themselves that certain patterns, as it is yelling at each other’s, between other abuses etc., are usual or normal, when this is just an egoic cover for you to feel good with what you know it is not. The first step to liberate ourselves from a toxic relationship is recognizing the Divine, and loving Spark within, embracing ourselves as we are and beginning to honor what we have chosen to be. It is only by loving ourselves that we could begin to set healthy boundaries – impeding the abuse that comes from our lack of self-love as well as from enabling the other to treat us as such. Releasing a relationship, when we believe we are still in love, is not easy for anyone. However, this is why it is so important to love ourselves, as it is only when we do so that we can love the other, and when we love with our soul, not with our ego, what we truly desire, is not precisely for the other to stay, when the relationship is toxic, but to be free them from what is causing both pain. This is not just about our egoic desires to remain with someone simply because we have spent many years with the other person or have built a family or have lots of things in common. This is about learning/remembering pure and unconditional Love, whose main aim is to let it all free. When we finally are ready to release a reunion that is meant to come to an end, as nothing within Creation was ever meant to be together, in the way human see relationships, one of the most important things to do is to work with ourselves. Healing emotional wounds, at the same time that we work with how to properly disengage from our partner, is essential. Otherwisee, at some point, this relationship, whether with this same person or with another one that behaves the same, will come back into our lives. Not to punish us, not because we have this karma, but to help us realize that there is something that is still active that continues attracting this same situations and that shall be healed. Cutting physical, energetic and sexual cords – in case it is an intimate relationship. If you do not cut cords, energetically you will continue to be united with your ex-partner or whoever you had the relationship with and then you will keep feeding him/her and vice versa, being unable to move forward. Becoming the witness, observing if we still have regrets etc. and from this neutral space begin to remember the initial lesson behind the act in itself. Healing through dreams – soul to soul connection. This occurs when we are not meant to see each other’s physically but we still need to forgive and end certain cords, whether karmic ones or not. When we have “dreams” for some of us, they are not different from our physical interactions; we can take advantage of our night encounters with people from our past and try to reach an understanding that will end up in a peaceful recognition of the God within, which will also liberates our human self from past wounds. If we have the opportunity to be totally conscious in our dreams, as we are when we are awake, we could speak with this person, until we are finally able to forgive and let it go. If you do not remember or cannot be fully aware during the dream, it does not matter, for as long as you find peace, it will mean that all past wounds and egoic feelings have been replaced by forgiveness and compassion. No matter in what form you repeat certain behaviors, situations or relationships, all of them come to you because you still have certain past wounds active as well as some things to master. The more you try to run, the more you will be chaining yourself within this past reunion. The goal of all our human interactions is no other than remembering the Divine Essence within and forgives the illusion that our human selves have created, while we are incarnated as dense beings. Many of you write me asking me how certain things can be forgiven. Indeed, there are things who can seem evil beyond measure, and as such these individuals will have to keep repeating the same atrocities, until they begin remembering, again. However, I am sharing for the ascending souls who have already healed their karmic debts or for those who have not even born with karma and came here directly to be of assistance. For the majority of us, we have come without karma, although this subject is very deep, for as you know as humans, we all have within our DNA ancestral karma to heal. Living as ascending beings can only be done when first we apply what we say/write/share in our daily lives, to what we call “negative” situations, for it is when we have the opportunity to realize if walk the talk or if we are yet governed by our egoic self. Open your heart, even if it has been hit million times, for it is the only way in which we can finally let Divine Love, and forgiveness come through it. What we call pain is simply the egoic protection we have to impede what is natural, what goes with the flow. This is what we have to learn, to follow the rhythm of the Universe instead of forcing our own one. For what we release, when the time to do so comes, what we left empty, the Universe will fill it, with infinite love, abundance, new soul reunions, and anything we need in this physical plane. We just have to flow, we just have to BE instead of spending all the time trying to fix what is not broken and never was, to begin with. Have a releasing, peaceful, loving and blessed New Moon, Beloved Companions! This entry was posted in Uncategorized and tagged become neutral observers, detox our body, love, loving and transformational month, Natalia Alba, New Moon in 15 Libra, toxic behaviors. Bookmark the permalink.